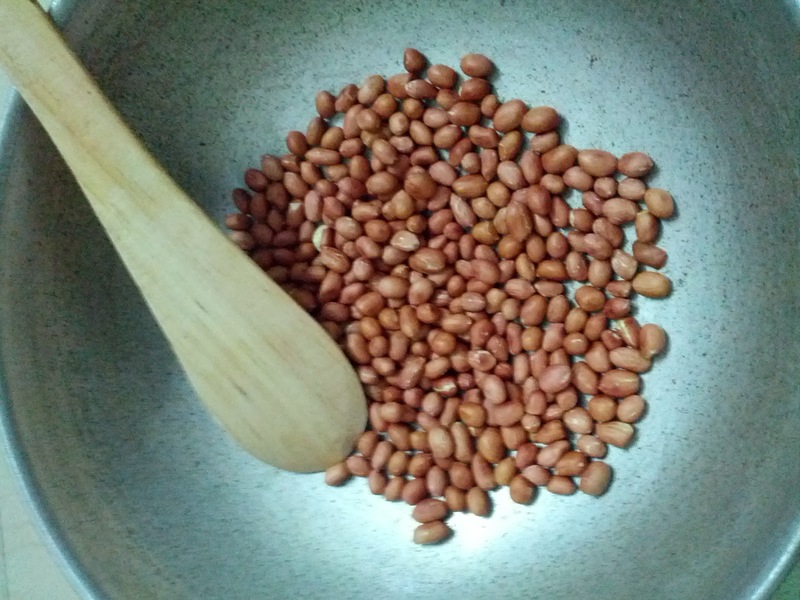 Dry roast peanut for 10 to 15 minutes. Turn-off the stove when the nuts start splitting up. Let it cool completely. Grind to a coarse powder. No need to remove the skin. 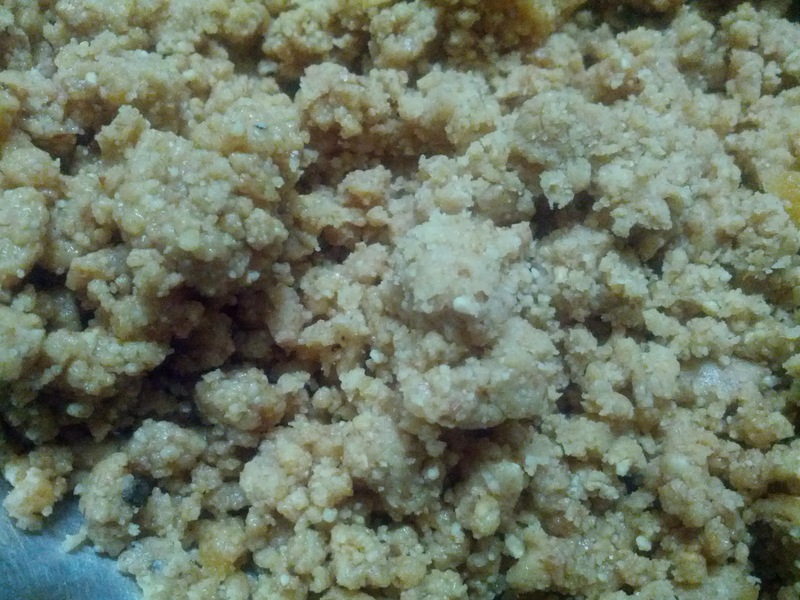 Powder the jaggery ball. Add that to peanut powder along with cardamom powder and grind for few seconds so that all the ingredients are mixed thoroughly. Transfer this mix to a basin. Take little quantity in hand, roll it in palms and press it with fingers tightly to make a ball. Store the laddus in an air tight container. I have learnt this recipe from a website. It is a very simple and healthy snacks recipe. 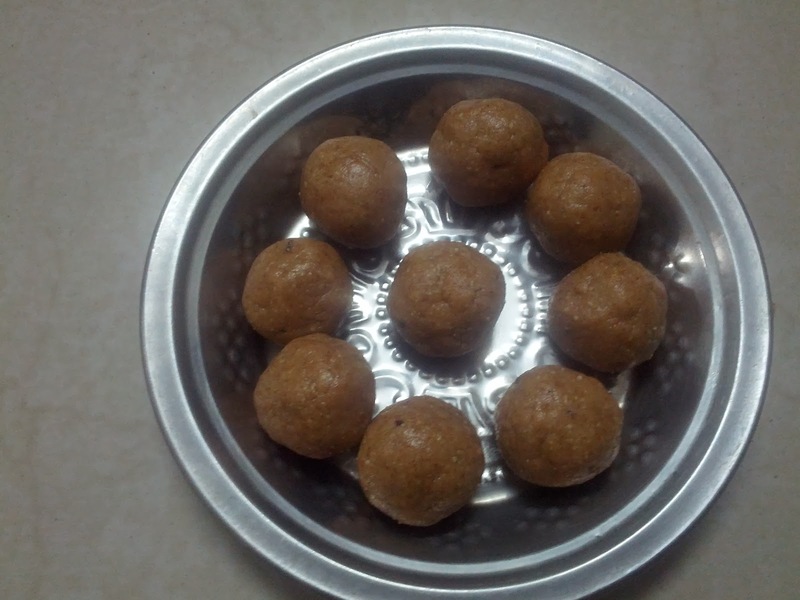 No additional ghee or oil required as the oil extract from groundnut itself is good enough to make balls.